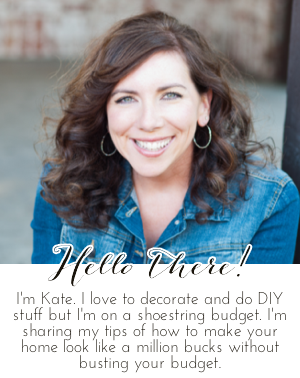 Chic on a Shoestring Decorating: Flaunt it Friday 201! Sorry the party is going up a little later than usual this week but hey, it's still Friday! :) Random.org chose a winner for my 200th Flaunt it Friday TJ Maxx gift card giveaway, I've already sent an email so check your inbox to see if it's you! Thanks so much for hosting and have a lovely weekend! Thanks Kate for Flaunt It Friday. Love joining in. Have a great week. Thanks for hosting Kate. Have a great weekend.